"Denver Executive Limousine is founded on the principle that superior customer service will build lasting relationships with clients." With nearly 15 years in the chauffeured transportation industry, our president and Founder, Phil Andryshak, has built the Denver Executive Limousine team on the values of accountability, exceptional customer care, and professionalism. Our veteran owned business is dedicated to supporting our local schools, public safety groups, veteran’s, and children charity organizations. We understand the importance of being involved and giving back to the community we live and work in. We look forward to earning your trust and loyalty. Chauffeuring with dignity, integrity, and class. Our chauffeurs pass rigorous background checks, are safety certified, and drug tested. All uniformed chauffeurs have an extensive geographical knowledge of the area. Denver Executive Limousine maintains $1.5 liability insurance required by the Colorado PUC and compliant with both state and federal licensing requirements. Don't make a precious mistake when renting a limo, read our Rental Tips section. We appreciate your business and always offer the best possible rates in the industry. No surprises, no hidden fees. Check out our specials page for additional savings. Denver Executive Limousine is founded on the principle that superior customer service will build lasting relationships with our clients. Our vehicles are meticulously maintained, and nonsmoking. 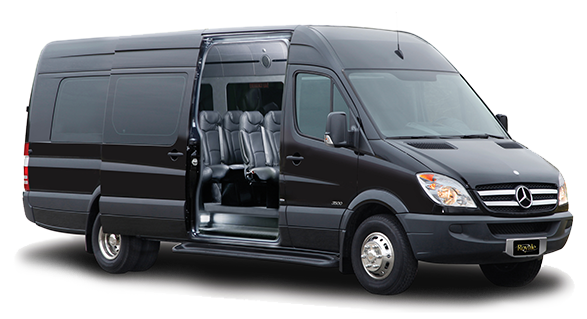 By combining unparalleled standards of service and care, our fleet of luxury vehicles like the Mercedes executive Sprinter Limo has staked Denver Executive limousine as among the most respected transportation providers in Denver. A top priority, dedicated detailed chauffeur training, defensive driving and evasive maneuvers are all part of our training to ensure your safety and security in every situation.